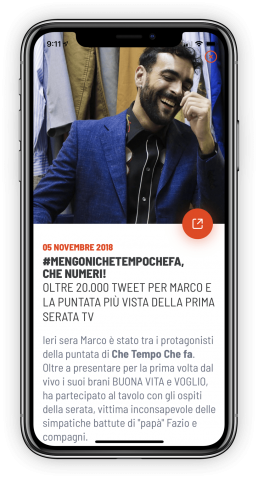 Designing the new official App of Marco Mengoni allowed us to deeply renovate the design and the functionalities already present in the previous version of the app. 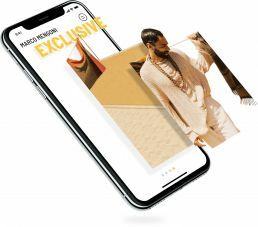 The main request was that of redesigning and developing an app that would show, as he did in the last years, how the artist evolved and matured from a musical point of view. 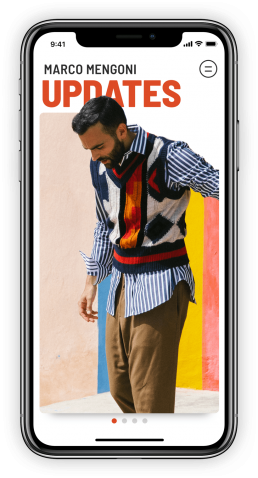 For this reason it was necessary to find, at the same time, a look that both creatively and distinctively steered away from the pop, colorful and geometric style and that headed toward an innovative smartness. 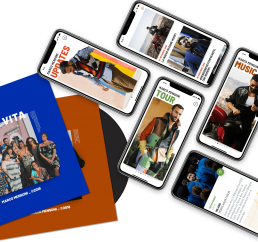 The designing and the development were characterized also by a strong involvement and collaboration with LaTarma Management, Comunicarlo Srl and No Comment – Opificio Musicale srl, that made the workflow more neat and efficient. Thanks to an initial creative freedom, we were able to realize a study on the navigation among sections, ending up defining an horizontal “swipe” effect, using the full capacity of the simplicity of gestures. The development of the parallaxis animation, the study of the titles and text body’s lettering and the white elegance, chosen to give a more clean look to the app, all gave a high contribution to give the app a unique look. In order to help the user to understand, within a few seconds, how to use the app and where to find the content wanted, it is necessary to study a good user experience. With easy gestures we were able to achieve this result, elegant, but mainly functional and intuitive. The Updates section will always be updated in real time with multimedia and exclusive news content. To be able to access the side menu screen, we realized a micro animation so to strengthen the creative force of the app, even in the smallest details. 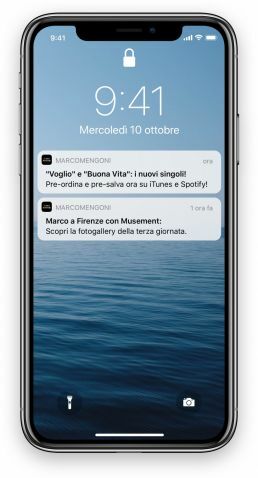 Through a system of push notification we imagined to always keep the user updated about news regarding tour dates, special events or multimedia content.